A few months ago we reported on the partnership between InvestSure, Compass Insure and our partner EasyEquities. InvestSure is a world-first, one-click insurance product that initially launched exclusively with EasyEquities. The product is now expanding and will soon be available on multiple trading platforms in South Africa, and hopefully soon after that, throughout the world. InvestSure aims to help make investing in shares less stressful, and safer, for more people, more often. 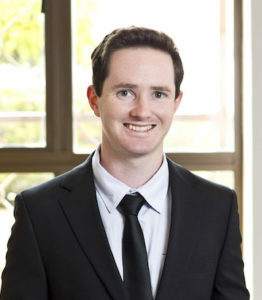 CN&CO’s Carel Nolte connected the InvestSure entrepreneurs with EasyEquities to help develop the idea. InvestSure has gone from strength to strength. InvestSure co-founder Shane Curran put together an article based on a study by @TradersCorner into the top 20 best performing JSE-listed companies, revealing that 30% of them were accused of fraud between 2015 and 2018. This stat highlights the need for investors to tread carefully and consider taking out insurance against fraud-induced losses in their portfolios. Is your portfolio exposed to fraud? A recent market analysis tracked the results of the top 20 best performing JSE listed companies between October 2012 and 2015, and compared the performance of those same 20 shares between October 2015 and 2018. The results are eye-opening. Of the 20 companies on this list, six were accused of fraud between 2015 and 2018: Aspen, Steinhoff, EOH, Resilient, Capitec and PSG. 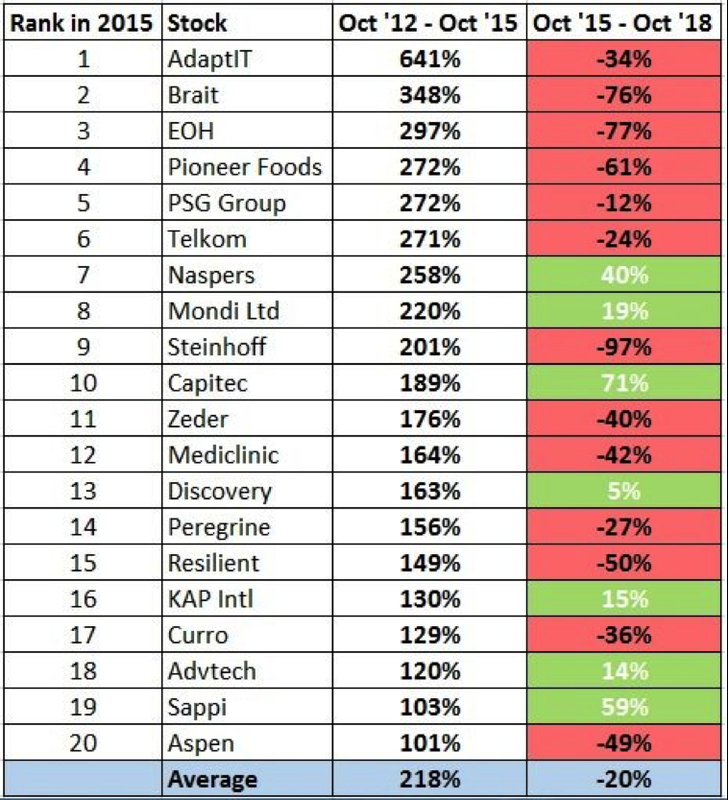 Four of these companies – Aspen, Steinhoff, EOH and Resilient – saw their share prices drop by more than 50%! The other two– Capitec and PSG – fared well because the market did not believe the accusations. As an ordinary investor, this is a scary prospect. No amount of market research, insight or savvy investing can protect you from deliberate deception. Moreover, this kind of corporate misbehaviour is now endemic – not just in South Africa but worldwide. We can hardly pretend to be surprised anymore. So, we set out to find a new way to mitigate this risk. This was the birth of the idea behind InvestSure. It is an insurance offering that arose from the question of why investors weren’t afforded an opportunity to insulate their investments from corporate violations and how this could be resolved. The high rate of recent corporate fraud in South Africa has given us a real-time lens to test the value of this insurance solution. The results were resounding. We did this by constructing a series of simulated portfolios inclusive of the 20 shares above. These mimic portfolio designs common to South African individual investors. We then did a comparison of losses that would be incurred by each investor if they had or had not invoked investor insurance cover for losses caused by corporate fraud. Every single one of these – yes, even the most diversified, equally weighted portfolio – performed significantly better over the three year period where the portfolio could have invoked insurance cover. The results speak for themselves. In the most aggressive portfolio (market cap, no limit) and the most conservative portfolio (equally weighted – all 5%) the portfolio with the InvestSure product would have outperformed in both cases, by +11% and +6.4% respectively. We are thrilled that the product is able to offer this level of demonstrable value to investors. We want to enable more people to become active investors and we think this product helps them to do this. In the same vein, we have paid a great deal of attention to investment behaviour and chosen to give investors the added benefit of composure in times of panic. InvestSure gives investors 30 days to sell their shares (which results in a claim being paid directly into their trading account), so they can wait and assess the market reaction before reacting themselves, knowing they are covered. This has been purposefully designed to help improve investor behaviour in times of crisis, allowing them to assess the information without having to rush into a potentially poor decision. We believe this is the start of a solution to the endemic problem that is corporate fraud. Investors can protect themselves and no longer have to lose their hard earned wealth as a result of management fraud. Costing around 0.6% for annual cover, it is priced to provide real value, providing 60% downside protection where management is accused of dishonest behaviour (whether proven or not) and the accusations result in a drop in the share price of over 10% in a two-day period. On the other hand the cost is low enough to prevent the significant erosion of returns if no credible accusation of wrongdoing materialises. Essentially, when no insured events occur there is minimal negative impact to an investor’s portfolio, but when fraud does happen there is significant protection for the investor. Log into your Easy Equities account, click on “account overview”, drill down into a share and click “review insurance” to get covered. Disclaimer: Nothing in this article constitutes financial or other advice. For more info, contact InvestSure: busdev@investsuretech.co.za.